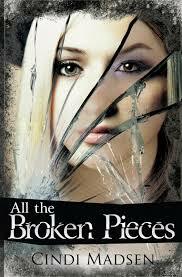 “All the Broken Pieces” by Cindi Madsen is one of the most captivating stories that I’ve read in a while. The way Madsen bringsLiv’s story to life is absolutely amazing. Madsen kept me on the edge of my seat wanting to know more. I was having the hardest time putting “All the Broken Pieces” down to do my homework. Imagine that battle in my head, “Homework, book, homework, book, gosh darn it…have to do the homework.” Thankfully I was able to finish the book though because I wasn’t sure how long I was going to be able to hold out. Liv wakes up from a coma without her a memory. She has to learn everything about life all over again including who her parents are. As Liv tries to remember her past, it just seems to raise more questions and her parents act squirmy regarding the answers.Liv decides that she wants to go to public school instead of continuing her education at home. Liv’s mother reluctantly agrees to let her go to public school. As most kids who feel nervous on their first day of school, Liv was no exception. She fell in with the popular crowd right away however she didn’t feel like she completely belonged. Then Liv meets Spencer, the mysterious loner boy who doesn’t usually speak to others. Liv tries to figure Spencer out, since one day he is nice and endearing and others he is a jerk. Once Liv begins to trust Spencer, she tells him the truth about herself and how she doesn’t remember her life before her accident, so everything is new to her. Spence creates a list of firsts that Liv has to do to create new memories. Like most girl meets boy or boy meets girl stories, the two end up together after a slightly up and down friendship. Liv is a great character. I loved getting to know her and the voices inside her head. Liv isn’t going crazy, she is just trying to figure out what happened to her memories. As Liv began to discover who she is as a person, and comes to terms that she may never know who she was, I liked her even more. Liv is someone that the reader can relate to, who out there hasn’t tried to discover who they are? Madsen drives that home. Liv may not remember her past, but the past doesn’t always matter, what matters is who you are today and what you are going to do in your future. Spencer, the ultimate non bad boy who thinks and asks like a bad boy is completely perfect. Mysterious Spencer is amazing. I couldn’t have matched a better character for Liv to fall in love with. Spencer believes that he is this terrible person and that he is nothing but a “bad boy.” Spencer is a loner, he keeps to himself but underneath his imagine, there is a person who really cares about the world, he just needed help to shine again. I love the fact that Spencer makes a list of things for Liv to do, to rediscover herself. Spencer is very swoon worthy and I can just picture all the girls drooling over him. “All the Broken Pieces” is definitely worth reading if not buying. I absolutely loved it. 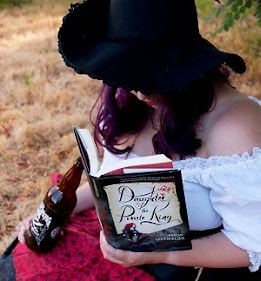 It was a great sorry that kept the reader hooked from the beginning. I think Cindi Madsen did a fantastic job with Liv’s story. I give "All the Broken Pieces" four out of five bookshelves.